Patient satisfaction with hospital pharmacist care is generally high with respect to pharmacist’s skills, communication and care received. The worst feature perceived by patients includes organisational aspects, such as pharmacy location, timetable or waiting time in the outpatient hospital pharmacy (OPh). To the best of our knowledge this is the first study to examine the association between overall satisfaction and quality aspects perceived by patients attending an OPh. Quality of care provided by pharmacists—in particular, information, resolution of doubts, personal attention and time devoted to the patient, was a predictor of overall patient satisfaction in the OPh. Similarly, an evaluation of critical factors, such as individual characteristics, perceptions of pharmacist care provided and facilities in the OPh area, would help to highlight potential interventions for improving patient satisfaction. The main objective of our study was to analyse the factors leading to greater satisfaction among patients attending the OPh. The collected data became part of a computer file complying with Law 15/1999, of December 13, entitled Protection of Personal Data. The data were used exclusively in this research project, remaining completely anonymous and confidential. The study was approved by the South Galicia clinical research ethics committee (human subject application 2015/268). This observational, descriptive cross-sectional study was conducted in a 1250-bed university hospital. The OPh covers a population of 600 000 inhabitants and is organised into four outpatient pharmacy clinics that see approximately 4500 patients a month (mostly patients with chronic disease). A questionnaire-based survey was conducted between May and June 2015. The study population comprised patients who came to collect medication at the OPh. Patients with at least three visits to collect medication from any of the OPh clinics and who voluntarily agreed to participate in the study were included. If a patient was under 18 years old, an eligible attendant was asked to answer the survey. Patients with a lack of understanding or difficulty in answering questions were excluded. The selection of subjects was made according to the inclusion criteria and in sequential order of arrival, as a sampling non-probabilistic model, to complete the sample size. Sample size was calculated taking into account the populations attending the OPh: 4500 patients come monthly to the OPh. The following assumptions were considered: an accuracy of 5%, a confidence level of 95% and an expected satisfaction rate of 50%. Final sample size was calculated at 530 patients. Based on published scientific evidence,2 5–8 a questionnaire was developed by consensus with a panel of five clinical pharmacists. A pilot study was conducted on a random sample of 30 patients (excluded from the final analysis) to evaluate the degree of comprehensibility of the questions and the time needed to respond. The questionnaire was adapted according to the results of the pilot study. The survey was offered to patients while they were waiting to be seen at the OPh. Investigator pharmacists requested patients' verbal consent and used an informative brochure to explain the purpose of the survey. They also explained that the questionnaire was anonymous and should be deposited in a box located outside the clinic in order to guarantee confidentiality. Patients who refused to answer the survey were asked to deposit the unanswered questionnaire in the box and were excluded from the analysis. The data were collected in an Excel database by researchers and were analysed using Statistical Packages for Social Sciences (SPSS), version 18. A SE β 95% and a lower level of significance α 0.05 were considered. First, a descriptive analysis was performed to characterise the sample. Correlations were made to ensure adequacy of the subscales. The instrument was assessed for its reliability in the study and had Cronbach’s α of 0.868. The average score of patient overall satisfaction was calculated using an ordinal variable as a dependent variable and then bivariate correlations were made with other survey items using the (χ2) test with adjusted and unadjusted OR (95% CI). A principal component analysis was performed to reduce the size of variables and later to perform an ordinal logistic regression to determine how overall satisfaction (rated from 1 to 10) was related to specific aspects of the facility and their health providers measured with the five-point Likert scale. Of the 586 surveys distributed among patients attending the OPh during the study period, 509 were collected, representing a response rate of 86.9%. Table 1 summarises the general characteristics of respondents. Of the survey respondents, 76.2% were the patient themselves, while 23.8% were attendants. Of respondents, who were working at the time of the survey, 22.4% reported having problems attending for scheduled visits; 72.9% of respondents considered the number of times that they attended the OPh to be adequate. The overall satisfaction score using a 10-point scale was 7.81 (95% CI 7.59 to 8.04). In total, 11.4% of patients gave a satisfaction score of 5 or lower. Table 2 summarises patients´ assessment for the each of the 10 specific aspects of care, measured using the Likert scale. The best perceived aspect was staff’s personal treatment (93% ‘satisfied’ or ‘very satisfied’). However, the waiting time, signposting for the OPh and comfort of the waiting room were the worst rated, with just 55% of the patients reporting that they were ‘satisfied’ or ‘very satisfied’. Results of the assessment of the 10 questions of the Likert scale satisfaction survey (second section): patients' perceptions of specific aspects of care Scoring is as follows: 1 = very dissatisfied; 2 = dissatisfied; 3 = neutral; 4 = satisfied; 5 = very satisfied. A multivariate logistic regression was performed with sociodemographic characteristics of respondent and the overall satisfaction. After adjusting for confounders, our findings showed that men, respondents who were satisfied with the opening hours of the OPh and those with no work problems attending the consultations were more likely to be satisfied with the care provided (table 3). Component plot in rotated space. In the graph the 10 variables are represented according to the varimax rotation. Component 1 is identified with the ‘facilities’ (variables A, (C, I, G) and component 2 is identified with ‘personal treatment’ (variables D, (B, K, F). Variables J and H could not be explained through this analysis. The variables are as follows: A, suitable resolution of patient doubts; B, appropriate opening hours of clinics; C, appropriate information provided by the pharmacist; D, comfortableness of the waiting room; F, time between witting up the prescription and dispensing the treatment; G, pharmacist’s time dedicated to the patient; H, period of time patient is in the waiting room; I, pharmacist’s personal treatment of the patient; J, comfort of the waiting room; K, clear signalling of the outpatient hospital pharmacy. Because there was a correlation between variables, principal component analysis was performed with respect to the items contained in the Likert scale questions. The dimension of variables was reduced to two components that explained 62.1% of variance. The first component (CP1) grouped variables related to the adequacy of the resources and services, such as appropriate opening hours of the OPh, comfortableness of the waiting room, clear signalling of the OPh, time from medical prescription to dispensation and waiting time. The second component (CP2) grouped variables related to the pharmaceutical care practices and conduct: suitable resolution of patient doubts, appropriate information provided by the pharmacist, pharmacist’s time dedicated to the patient and pharmacist’s personal treatment of the patient. 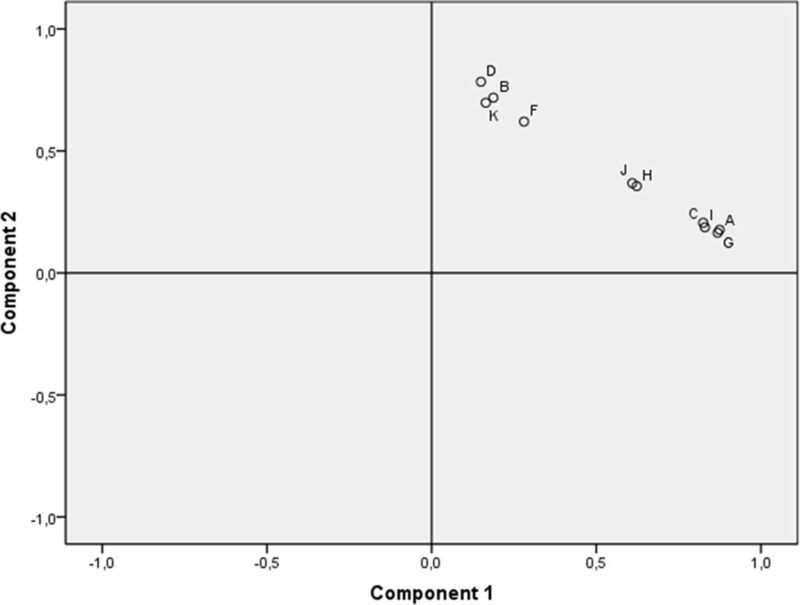 Figure 1 shows graphically which variable is most represented in each component. The variables waiting time in the waiting room and the confidentiality conditions of the waiting room could not be explained through the principal component analysis. Of these two components, it was observed that the professional’s related component was the most predictive factor of patient satisfaction. Details of the regression analysis are shown in table 4. Specifically, an additional unit in the CP2 is associated with a 3.23 increased risk of having higher satisfaction scores, whereas an increase of an additional unit in CP1 would be associated with only a 1.93 increased risk of having higher satisfaction scores. The survey included questions about preferences and the current drug information. The results showed that 91.7% of patients considered the medical staff as the main professionals to inform them about their treatment while 5.2% of the patients considered the pharmacist as the main professional. In addition, 9.6% considered both professionals to be at the same level. To receive information about their medicines, 43.6% of patients preferred oral information, 23% wanted written information and only 3.3% of patients preferred the Internet; 18.6% of the patients considered that it was necessary to have various formats concomitantly available to them. One hundred and twenty-seven respondents (25.0%) expressed an opinion in the final section. Twenty-seven comments were positive (all about care provided), 29 were negative opinions (21% about care provided) and 31 were classified as neutral. Our study shows that the factor which best predicts the satisfaction of patients who come to the OPh is the quality of care provided by pharmacists—in particular, the information provided, resolution of doubts, personal attention and time devoted to the patient. Facility characteristics, such as the waiting room conditions or signposting, do not directly correlate with improvement in overall patient satisfaction. These data suggest that greater specialisation of the pharmacist in certain areas of knowledge is perceived positively by patients. No differences in patient satisfaction were found in relation to age, means of transport, distance to the hospital and level of education or employment status. Our results are consistent with those reported in other studies in which the aspects given the highest rating were the experience of the pharmacist7 or perceived manner of, and information provided by, the pharmacist.8 A cross-sectional study conducted in Canada in 500 patients of five community pharmacies measured perceived pharmacist expertise, relationship quality, self-efficacy, patient satisfaction and relationship commitment. Patient-perceived pharmacist expertise was described as an independent factor of patient satisfaction.10 Kim et al 9 assessed satisfaction with pharmacy services provided though medication therapy management. Patient satisfaction was not significantly different according to age, gender, ethnicity or number of disease states but, satisfaction with the medication therapy management correlated positively with overall patient satisfaction. Hall et al 14 described and compared patient satisfaction with two different types of care: a pharmacist physician collaborative model and a traditional physician model in a rheumatology clinic setting. Patient satisfaction in the collaborative care group was consistently higher across all dimensions. These results confirm that a positive and expertise interaction with the patient can have an influence on overall satisfaction. Similar results were obtained in the study of Martin and Faber15 Patients reported a high level of satisfaction with the clinical pharmacist involved in hepatitis C virus treatment management. It is noteworthy, that despite the high satisfaction reported by the patients in our study with the care provided by pharmacists of the OPh, they consider the doctor to be the professional and their main source of information about medicines. Other studies have reported that patients most often recalled the information about adverse drugs effects from physicians (97.2%), nurses (60.7%), inpatient pharmacist (49%) or outpatient pharmacist (44.8%).16 This suggests that the pharmacist should focus on, and attempt to improve, such information to increase the quality of care. Although technology can be used to obtain information about health,17 18 in our study, almost 50% of patients preferred written information, although the mean age was 50 years. This might be explained by the type of population answering the survey, or it might simply be that patients prefer the health system to offer the traditional model of information and, at the same time, still wish to have the technological route available for their own personal use when they want to search for information. Our findings must be interpreted in the light of the following limitations. First, a notable limitation of this study was that it focused only on patients treated in our hospital. Therefore, the results of this study might not be valid for other health systems. Second, although we conducted a pilot study on 30 patients, there might have been bias in the way in which questions were formulated and written, with problems possibly related to unclear writing or the use of unusual words. Bias might also arise from asking questions that are considered invasive, leading the respondent to become defensive when answering. Third, the questionnaire is not validated for measuring patient satisfaction of OPh because no available validated survey was available at the time of the study. Finally, it was pharmacist investigators who offered the survey to the patient, which might have potential bias, although patients to were allowed to complete it in private. Our study shows that the factor predicting the satisfaction of patients who come to the OPh is the quality of care provided by pharmacists—in particular, the provision of information, resolution of doubts, personal attention and time devoted to the patient. Facility characteristics, such as the waiting room conditions or signposting, do not directly correlate with improvement in overall patient satisfaction. Our findings provide a road map for health providers, indicating which aspects should be prioritised to have the greatest impact on patient overall satisfaction. Health providers should carry out strategies to keep well-trained and incentivised health professionals to treat patients with the highest level of quality. Future studies should determine if greater patient satisfaction has a positive effect on health outcomes, which could result in economic savings. Real Academia nacional de farmacia, ministerio de sanidad y consumo, consejo general de colegios oficiales de farmacéuticos,sociedad española de farmacéuticos de atención primaria (SEFAP), Sociedad española de farmacia comunitaria (SEFAC), Sociedad española de farmacia hospitalaria (SEFH), Fundación pharmaceutical care españa, grupo de investigación en atención farmacéutica de la facultad de granada. documento de consenso del foro de atención farmacéutica. Enero 2008. http://www.msssi.gob.es/profesionales/farmacia/consenso/consenso.htm#indice (accessed 20 Aug 2016).
. [Assessment of quality as perceived by users of an outpatient pharmaceutical care unit]. Farm Hosp 2006;30:99–104.
. [Quality perceived by outpatients at the pharmaceutical care clinic]. Farm Hosp 2006;30:105–11. Contributors NMLDC: Concept and design, Data interpretation & Writing of manuscript. MÁP: Concept and design, Data interpretation & Writing of manuscript. AMV: Concept and design, Data interpretation & Writing of manuscript. MSU: Concept and design & Revision of manuscript. MGR: Data collection. PIN: Data collection. DFM: Data collection. CCM: Data collection. MFC: Data interpretation. GPC: Revision of manuscript.